(15 November 2016) – Donald Trump’s election appears to have stalled the momentum of the Paris Agreement. Concern over the future of the deal is palpable among participants at the COP22 in Marrakesh. 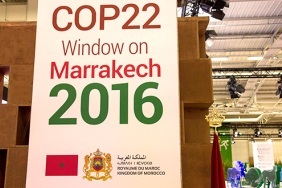 But as the Marrakesh climate conference entered its second week on Monday (14 November) Cañete insisted that more needed to be done “to keep the spirit of Paris alive”. One year on, this spirit is wavering. And Donald Trump’s threat to pull out of the Paris Agreement has many fearing the worst. So far, just 14 EU member states have ratified the deal. The reluctance of the other 14 forced European diplomats to be creative, ratifying the Paris Agreement on behalf of the EU after receiving the green light from the European Parliament.